Paintshop Pro plays nice with palettes, and it still does all the way up to X5. I would've thought that photoshop would too with the correct settings. The bottom color line (that "green-ish/blue-ish" grey) of the Battlescape palette is usable for battlescape stuff, right ? My first project was to introduce a new Ruleset for a set of improved HWPs, inspired by the Xcomutil "Improved Ground Tanks" option present in the vanilla game ( I will upload it in the correct place). My second project, which is almost finished was to add a HE ammo clip for the Sniper Rifle (I decided to base all of my work on OpenXcom with the Final Mod Pack added, which is also a blast!). 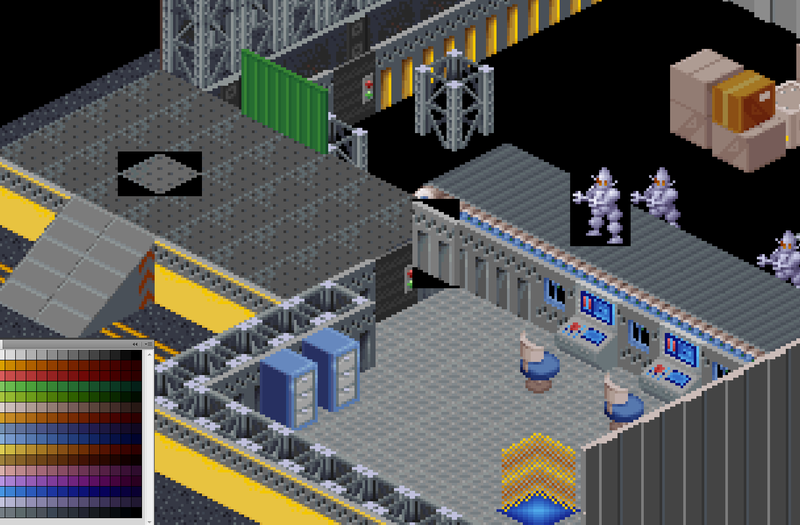 By the way, could please someone tell me where to find the "X-Com graphics in 30 Minutes" guide provided by Moriarty and SubSuper which was metioned in this same thread? Gimp is fine as long as you switch to indexed colors and apply the X-Com palette before you do anything else, and reapply it when you're done just for good measure. Guys: Thanks for the prompt answers and abundant help! Are those two facts true? Do any one of those two facts override the other? So, what determines the order in which mods are loaded by the game engine is the order in which they are activated, and that order gets registered in the options.cfg file. It makes sense to me now. Thanks for the explanation! Sorry I haven't responded earlier, I was quite AFK. Success! I managed to use Aseprite software to my purpose! Here is the result: Explosive bullets for the Sniper rifle! I finally could add a correctly shown image in the game screens! I am working in a small Add-on mod to be used with the Final Mod Pack, and this item will be a part of it! I'm doing tiles right now and several colors change when I export the bmp to .PCK files with PCKView. For example the greys: the 49% one is changed to a 41% grey, the 41% itself shifts into 33% (a value absent in the palette, which range is: 49-41-35-27%). Some colors do this “shift to the darker” thing, while others are just slightly different. The latter isn't a problem since the difference is almost unnoticeable; the former on the other hand can make things considerably darker, which is problematic especially on floors and walls. This is a picture form a WIP map, upon which I've pasted the original items. You can see how darker that roof floor has become, the metal wall too, and the robot. If you also check around the colors you'll notice lots of them are slightly different from the ones in the palette. Does PCKView use a different/wrong/incomplete palette? Is the palette on this thread really correct (its different than the one here https://www.ufopaedia.org/index.php?title=File:5_BattleScapePal.Png for sure, but this one looks even more different than the PCKView colors, there's no correspondence)?